It is time. Time to map out your big goals for 2018. At least the first part of the year. 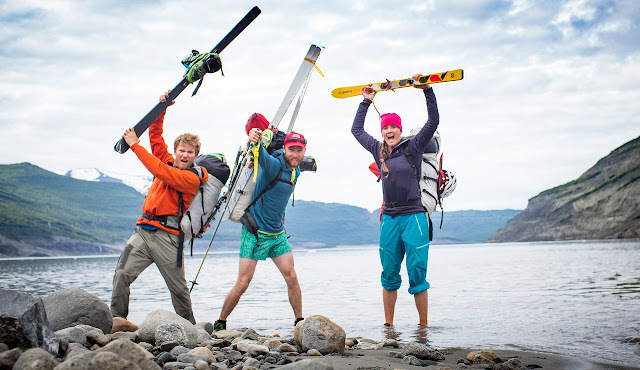 Whether skiing, ice climbing, or expeditioning, I've got what you need! The big theme of this coming year is collaborative efforts with my favorite climbing partners. Sharing the mountains in small groups has always been my focus. Alone with guests, you know me to deliver top-notch mountain experiences. You also know me for high-end personal climbs and ski trips with a cadre of phenomenal partners. This year I am honored to be offering a suite of trips guided by myself plus one or more of these phenomenal partners. Those few who have experienced this already will acknowledge that a great mountain and guiding team is greater than the sum of its parts. My business, climbing, and guiding partners make me better, I make them better, and everyone's experience benefits from this betterment. Rogers Pass, BC. Forever Young Couloir. March 17-25, 2018. Team Smiley and I are headed to Canada. Join us for what I feel is the best way to ski Canada's legendary backcountry. Details here. September 22-October 3, 2018. Chilean volcano road tripping! Git some. 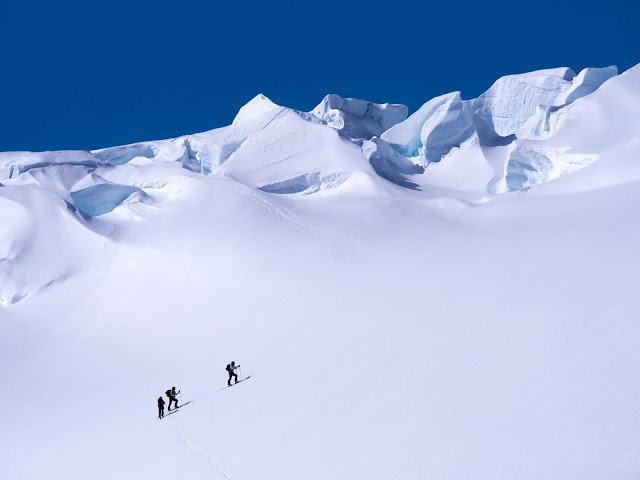 The best of South America, the best of peak-bagging, the best skiing on the planet this time of year! Get your "turns-all-year" in the classiest way possible. Details here. 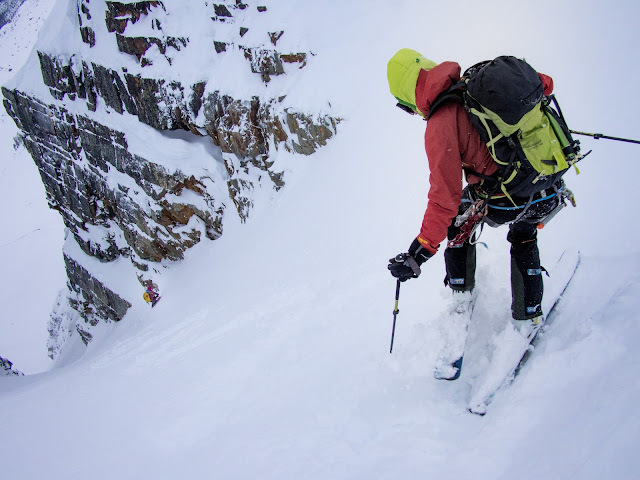 Epic high Chugach ski mountaineering, Alaska. Get your deposit in before the end of business on 9/20 and we'll get you some goods. One trip: the CAMP Alp Racing harness. Two trips, an Arc Teryx Proton AR jacket.